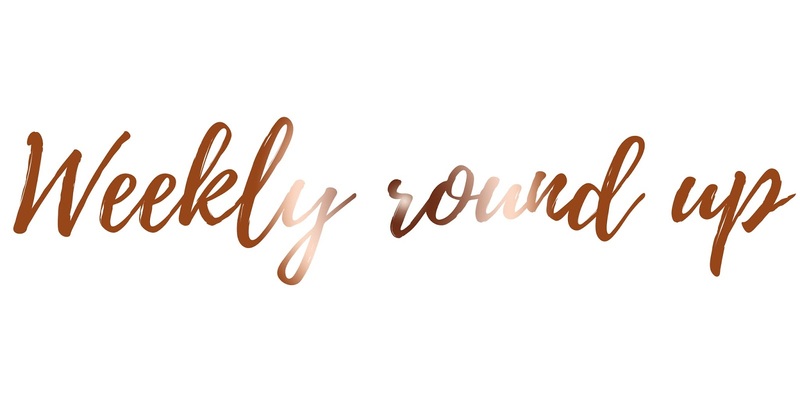 It has been way over a month since I wrote up a weekly round up and I apologise for that. When you're working full time in the same job where every day is pretty much the same routine and you're going to bed at 8:30pm every night after getting home at 6pm every night, there isn't really much to update you all on. I have now had my first week off for Summer and I have to say, it has been probably the shittest week of Summer I have ever had and I'll explain why further in this post. On the other hand, this week I have also been getting organised; I say this week, I mean the past couple of days. As I'm back at University in just under a month I thought it was about time I started getting everything ready for when I go back to University and I am very nearly there! Something I really struggle with is the size of my bedroom; it's absolutely tiny and being a 20 year old student with a lot of interests and a blog; having a tiny bedroom can be rather difficult; I struggle to find space for anything. So my bank holiday weekend has been spent moving things around, buying new storage drawers and getting everything organised so that I can finally put away boxes and boxes of PR gifts and stationery which I have bought over the past few months. Yay! I started my week off having to rehome my dog which I've had for five and a half years; I'm sure many of you have seen a picture of her either on my Instagram, Snapchat or Twitter; she looks like an alien with a love heart on her chest. I miss her so much. I won't go into the ins and outs on why I had to rehome her but it was the most difficult and heart breaking decision I have ever had to make and it's one of those things which I'm questioning how I'm going to be able to move on from. So for the next few weeks you may think that I seem pretty down in the dumps and upset constantly and this is the reason why. I'm not going to let it effect my life or what I'm currently doing in my life but if I'm not sociable on my social media channels then this is my reason why. I hope you guys have a brilliant Bank Holiday Monday!